You can never have too many image transfer methods in your bag of tricks. Cyndi has gathered up all her tutorials for you! Cherie makes a postcard for June's spring challenge. By the time you're done, no one would ever know these elegant Easter eggs are made from cheap plastic eggs! 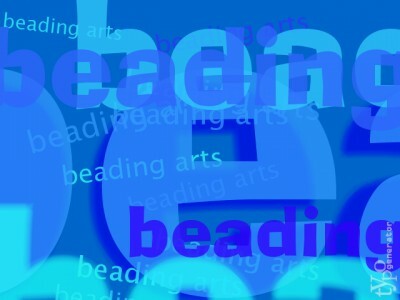 Jean reposts a review of Jamie Cloud Eakins most recent Bead Embroidery book, and exceptional work! The Crafty Princess cracks open a new super cute crochet book. New ideas for summer jewelry are circulating over on a bead a day blog. Lisa's thinking about summertime pearls and ankle-bracelets as necklaces! With Jewelry Clay as a new medium in my jewelry zone I have found that I can create so many new wearable pieces.